Tsuga Fine Art & Framing, located downtown Bothell, is hosting a summer group exhibition themed "Renewal: Art & Interpretation." 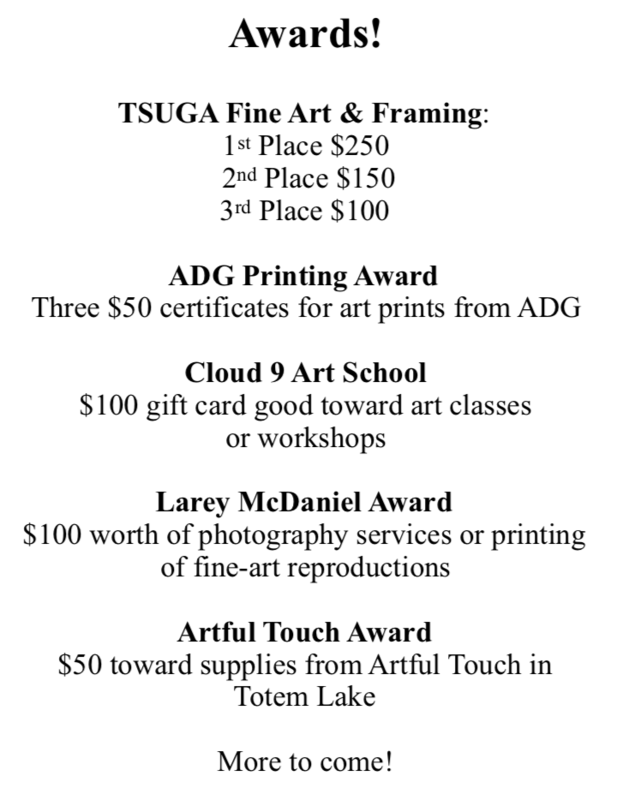 Cloud 9 is proud to sponsor an award for this exhibit and we encourage you to enter your artwork in this annual summer show! To see the prospectus, click here. Cloud 9 and its instructors encourage you to get involved in our lovely community. Come join the fun! Welcome to Ré St. Peter!